DENVER - Colorado Parks and Wildlife reminds hunters that over-the-counter licenses with caps and over-the-counter unlimited licenses are available for purchase beginning July 26 at 9 a.m. MDT, online, by phone 1-800-244-5613 or at CPW locations and license agents. Leftover limited licenses (licenses remaining after the primary and leftover draws) go on sale in person and by phone Tuesday, Aug. 2 at 9 a.m. MDT. These licenses are available online starting at midnight on Aug. 3. MDT. The list of leftover licenses available for purchase will be available July 27 at cpw.state.co.us/thingstodo/Pages/BigGame.aspx. All purchases require a current and valid photo ID, proof of residency, social security number, and a Hunter Education card, unless the hunter was born on or before Jan. 1, 1949. Online verification requires input of the hunter education information located on the card and the state in which it was issued. Bring this card with you for in-person sales. To sign up for a Hunter Education course go to cpw.state.co.us/learn/Pages/HunterEducation.aspx. Apprentice licenses are available 2016 as well as hunter education test-out options are available for U.S. military and individuals 50-years of age or older. Learn more at http://cpw.state.co.us/learn/Pages/HE-Test-Out.aspx and http://cpw.state.co.us/learn/Pages/HE-Apprentice-License.aspx. 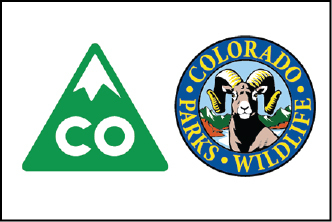 Replacement of most Colorado hunter education cards can be requested online at https://www.co.wildlifelicense.com/start.php. Learn more at cpw.state.co.us/learn/Pages/HE-CardReplacement.aspx. Resources are available at cpw.state.co.us/BuyApply/pages/hunting.aspx. If you have questions about hunting, contact CPW at 303-297-1192. Thousands of over-the-counter with cap licenses for bear are available. Interested license buyers should refer to the 2016 Big Game Brochure for season participation requirement. Refer to cpw.state.co.us/thingstodo/Pages/BigGame.aspx for resources to assist in purchasing onli​​ne, by phone at 1-800-244-5613 or at CPW locations​ and license agents​.